Christmas Decor: ‘Silver Lining’ Fireplace Mantle | Christmas All Year ~ It's Ever Christmas! 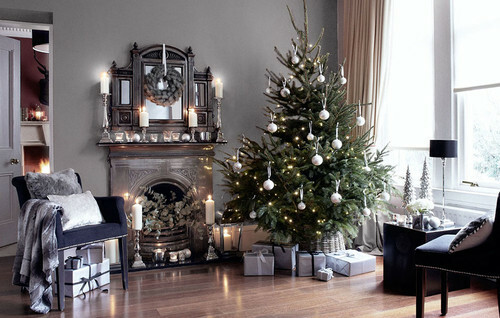 This is a lovely silver-themed Christmas decorated sitting room. The wreath, candles, ornaments and accessories are color-coordinated creating a very luxe ambiance. The décor is gorgeous! This entry was posted in Christmas Decor, Christmas in September, Fireplace Mantles, Michelle's Top Favorites, Trees: medium, Trees: miniature / short, Wreaths and tagged Christmas, Christmas candles, Christmas ornaments, Cristes Maesse, Cristes-messe, Dies Natalis, Kerst-misse, the Mass of Christ, Weihnachtsfest. Bookmark the permalink.